Hip pain doesn't necessarily mean hip surgery. There are many options for you to discuss with your doctor to alleviate hip pain. 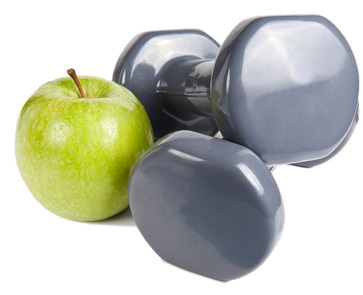 Exercise and weight control - Research shows that exercise is one of the best treatments for osteoarthritis. Exercise may help decrease pain, improve flexibility and maintain weight. A healthy diet can facilitate weight loss resulting in reduced stress on weight-bearing joints and limiting further injury. Physical therapy - Your doctor may prescribe physical therapy as a course of treatment. It is important for you to work with your physical therapist and learn proper technique of your exercises. These exercises are specifically designed for your condition and may prove effective in building supporting muscles and loosening stiff muscles that cause pain. Medication - Heat and Cold are non-drug ways that may relieve pain. A warm bath, hot packs or cold packs are simple techniques that may help with pain. Medicines commonly used in treating osteoarthritis include: acetaminophen, NSAIDs (nonsteroidal anti-inflammatory drugs), topical pain-relieving creams and sprays, narcotic painkillers , corticosteroids, and hyaluronic acid. Many medicines used to treat OA have side effects, so it is important for patients to learn about the medicines they take. Consult your doctor before using medications for pain relief. Injections - Steroid injections may provide relief from hip pain. Your doctor will advise you on the efficacy of this treatment and monitor how effective this course of treatment is for you. There are many other options promoted for relief of pain, and while some may be effective, others could be potentially harmful. Always consult your doctor before embarking on any course of care to ensure you will get the maximum benefit for your condition.